DETROIT - Tesla Motors (TSLA) is recalling 2,700 Model X SUVs after the automaker's own tests showed the third-row seats could snap forward in a crash. The recall involves SUVs made before March 26 and sold in the U.S.
Tesla says the Model X passed 15 seat-strength tests before failing a 16th designed to meet more stringent European standards. The company has received no reports of seat failures from customers. But Tesla says customers shouldn't use the third row until it's repaired. Tesla will replace the seat backs in the affected vehicles. Customers will be notified when parts are available; the repair takes about two hours. Tesla says it will take five weeks to make parts for the repairs. Tesla told Model X owners that they may continue using the vehicle, but advised passengers not to sit in the third-row seats while the car is in motion. "We recognize that not having the use of your third-row seats for the next few weeks will be an inconvenience, but your safety is our primary concern," the company said in an email to vehicle owners. "We assure you that we are building your new seat backs as fast as we can." The recall will be paid for by Futuris Group, which made the seats. 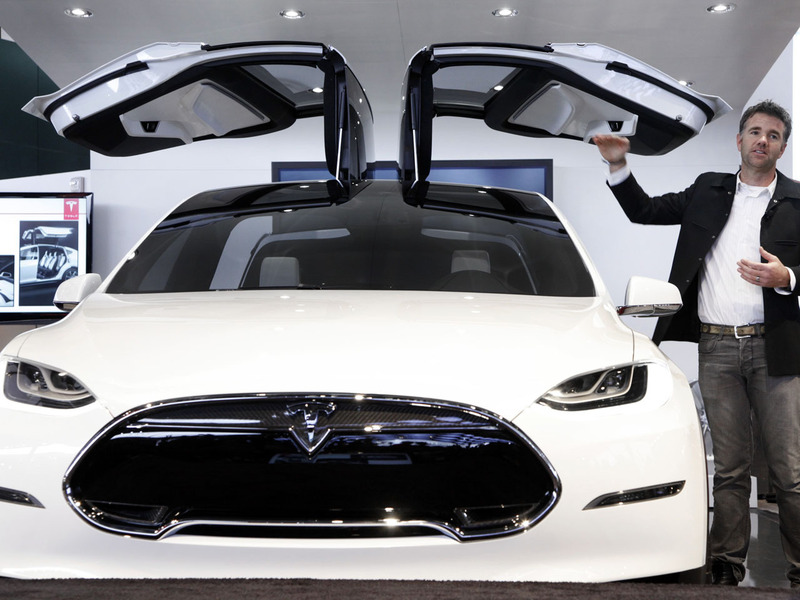 Tesla has experienced production delays since unveiling the gull-winged Model X last year, with CEO Elon Musk acknowledging that the company erred in loading up the vehicle with too many features for its launch. It is the first recall for the Model X. In 2015, Tesla recalled all 90,000 Model S sedans on the road to check their front seat belts after one passenger's seat belt became disconnected.